Winter Care: Mulch the first winter to prevent frost heave of young plants. Remove very early in spring, before growth starts. 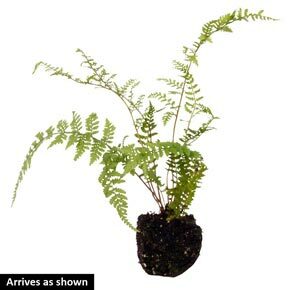 Foliage Type: Gently arching narrow fronds with beadlike petite lobes. Said to resemble tatting (handmade lace). 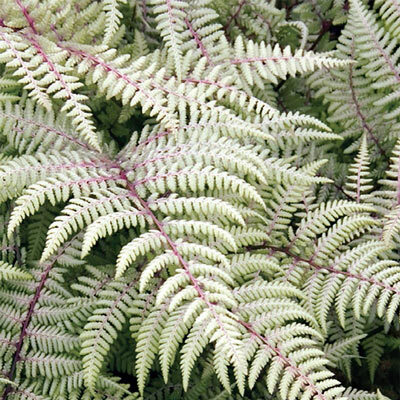 Overall silver-gray foliage color. Soil Requirement: Well drained, moisture retentive, humus enriched soil. Watering Requirement: Keep envenly moist. Drought can force plants into dormancy.